Glastonbury to be most shared event of 2017? You are at:Home»Operators & Networks»Glastonbury to be most shared event of 2017? UK mobile network, EE, has been confirmed as the official technology and communications partner for Glastonbury Festival for the fifth year running. Bringing a temporary 4G network to the 900 acre site, EE is preparing for the most socially shared music event of 2017 in anticipation of 135,000 festival-goers descending on the iconic site at Worthy Farm. From 21 to 25 June the network expects to see 40 terabytes of data used across its 4G network, an increase of 33% on 2016. This is a wider trend seen across the EE network, with data usage at events such as Aintree continuing to double or even triple year on year. 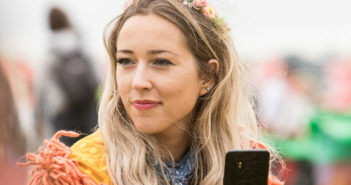 With the introduction of Facebook Live, Snapchat Stories and now Instagram Stories – a concept that was not available during last year’s Glastonbury festival and now boasts 200 million global daily users – Glastonbury fans will have more opportunities to capture and share magical moments from the festival than ever before. The colossal amount of data predicted to be used at Glastonbury this year is equivalent to: 10 million downloads of Sunday headliner Ed Sheeran’s number one smash, ‘Shape of You’; 400 million festival selfies uploaded to Instagram; four million minutes of video streamed to Facebook Live, equivalent to over 7.5 years. including the recent addition of Instagram Stories, Facebook Live and Snapchat Stories, those on site now require more data for video than ever before. The official Glastonbury 2017 app, developed in partnership with EE, will be available to download in early June, allowing festival-goers to get up-to-the-minute news on the weekend’s entertainment and live stream the BBC’s coverage. Customers who download the app can drop location pins over the weekend to ensure they don’t lose their friends, and can find their way back to their tent or car at Worthy Farm.